Professor Neil Hopkinson is Director of 3D Printing at Xaar. 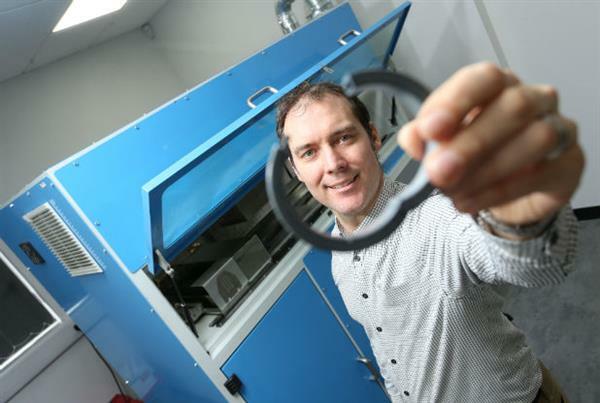 Professor Hopkinson spent 20 years in academia conducting research in the field of additive manufacturing, before joining Xaar in 2016 to build a 3D Printing business utilising the company’s world leading technology and one of his own inventions, High Speed Sintering. Neil is talking on the opening day of The Engineer Conference, 1130 on Tuesday 5 June. In this exclusive interview, he explains why a diverse workforce is crucial and why we should pay more attention to Oscar Wilde. As one of the pioneers of 3D printing in the UK, tell us more about where it can go next, specifically in terms of mainstream manufacturing? 3D printing/additive manufacturing applications are expanding beyond prototyping into a vast range of end use products. The key challenge to wider mainstream adoption of 3D printing for production is the cost to make parts. Higher throughput processes and competitive supply chains will be the key to reducing part cost and the inevitable adoption of 3D printing as another manufacturing tool in the box alongside injection moulding and CNC machining. What will delegates take from your presentation at The Engineer Conference? I hope that delegates appreciate the immediacy of the opportunity – 3D printing for part production is a field that is moving quickly. Attendance at this event will help delegates understand where the technology does and does not make sense. They should draw inspiration on where and how they can best add value to their organisations through 3D printing. How important is it for manufacturing to have a diverse workforce and what can industry and/or Government do to help? This is huge. 3D printing is re-writing the way we imagine, design, make, deliver and use products. To maximise the benefits we can collectively draw from this re-defining technology we require a breadth of mindsets from a diverse workforce. What would you put in Engineering Room 101? Cynicism. More specifically, cynicism that is based on gut reaction rather than balanced information. In the early days of 3D printing, most people said the technology would only be used for prototyping and never for production. In this field cynics see slow, expensive technology and don’t see the value of the product that comes out; they fail to grasp the potential to create value through differentiated products and services. As Oscar Wilde once observed – a cynic is someone who sees the cost of everything and the value of nothing. BOX OUT QUOTE: 3D printing is re-writing the way we imagine, design, make, deliver and use products. To maximise the benefits we can collectively draw from this re-defining technology we require a breadth of mindsets from a diverse workforce.